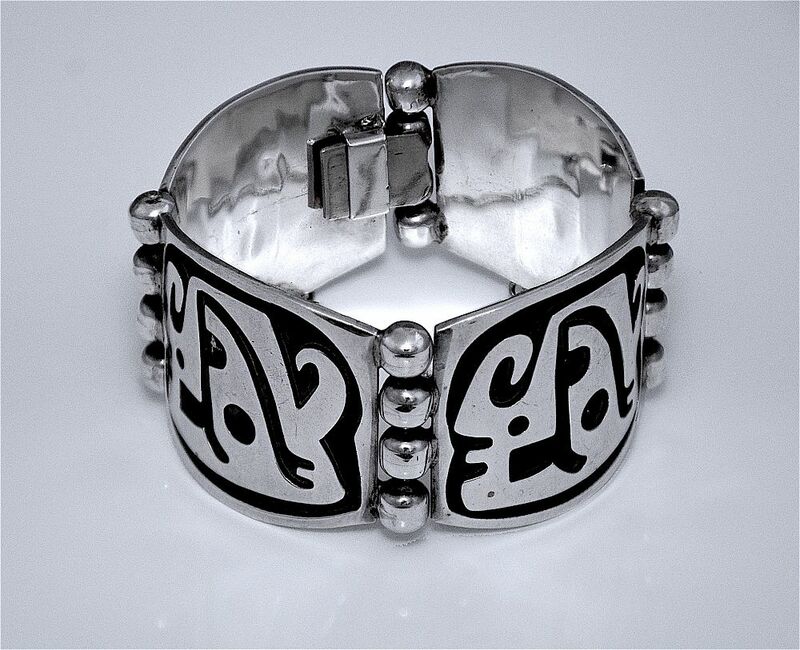 This very stylish Mexican silver bracelet consists of 4 large silver hinged panels, each panel being decorated with an abstract design relief over an oxidised background. The hinges are covered by 4 round balls. The inside is stamped "Sterling Mexico".